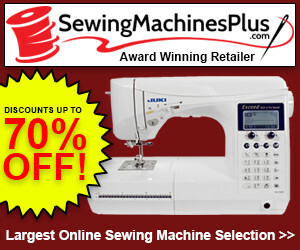 Sewing threads are special types of yarns that especially designed for use with sewing machines. The threads are engineered to pass through the sewing machines without any resistance. These threads can form stitches without breaking or becoming distorted. The main function of a sewing thread is to deliver performance in seams and stitches. You should carefully select a sewing thread. Apart from the fineness, color, and luster of the thread, you need to pay special attention to the size of the thread. Even a small error in selecting the right sewing thread can cause a loss of investment in labor, equipment, and material. That’s why it’s critical that you get a deep understanding of different types of threads. Gaining knowledge about the different thread sizes will enable you to select the right thread for a project. In fact, the right thread size plays a major role in determining the stitch quality and sewing performance. A lot of people get confused when they are buying threads for the first time. The confusion stems from the arcane numbers that denote different thread sizes. You need to break the code if you want to select the right thread size for your project. The size of a thread is communicated through different numbering systems. You need to know what the numbers mean to select the right thread size for your project. A lot of people confuse the thread size with actual weight or length. However, the thread size is different than the actual weight of a thread. A spool of thread may have #60 written on it while another thread may have 60 wt. written on top. These two threads are not the same. Direct count systems depict thread size by determining the weight of a fixed length. The following are the common direct count systems that reflect thread sizes. Denier is a common numbering system that is used to determine thread size. The size is referenced by weight in grams of a thread that is 9,000 meters in length. For instance, a thread of 9,000 meters weighs 150 grams, it’s a 150-denier thread. Most rayon and polyester embroidery threads are 120/2. This represents 2 strands weighing 120-denier each resulting in 240-denier. Threads with larger denier size are heavier. Thread sizes between 135D and 180D are fine threads, while between 630D and 900D are coarse threads. The most common thread size is 350D that is used for general stitching. Most industrial threads are expressed by TEX size. The size represents weight in grams of 1000 meters thread. So, a thread that is 1,000 meters long will be 25 TEX if it weighs 25 grams. To convert TEX size to denier, you should multiply the TEX number by 0.1111. This means that a thread of TEX size 25 is 2.775 denier. Similar to denier thread sizes, larger TEX sizes reflect heavier threads. T-15 and T-20 are fine threads used in blind stitching and heirloom sewing. T-40 is the most common thread size used for general sewing. T-70 to T-100 are coarse threads used for topstitching and hand buttonholes. Indirect count systems reflect thread size by referencing from another measure. Here are the common indirect count systems that reflect different types of sewing thread sizes. Metric count reflects the thread size by referencing length to the weight. It refers to a thread length of 1,000 gram of thread. Threads with a higher metric count number are generally thinner as compared to threads with a lower metric count. You should select a thread with a higher metric count for light stitching. For heavy stitching, you should select a thread with a lower weight. Threads with a metric count of 50 or more are fine while threads with a metric count between 10 and 15 are coarse. Threads of 25 metric count are used for general stitching. Remember that a thread with metric counts of 50 and 50/3 sizes are not the same. They two threads are different in sizes. The cotton count is another indirect count system that is used to depict thread size. The system is also known as yarn size system. Despite being an archaic unit, it is still used in many places to depict yarn size. The thread size is measured based on the individual strand or size. Threads are commonly made from different strands. Although the cotton count system originated from the cotton spinning industry, its use is not limited to cotton threads. Polyester threads are also sometimes sized using this number system. Threads with a cotton count between 120 and 160 are considered fine. Also, threads with a cotton count between 22 and 34 are considered coarse. The most common thread size for general stitching is 120 NeC. Hong Kong Ticket is the same system as the cotton count. The difference is that the number system is written without the slash. This means that a thread with a cotton count of 50/2 is 502 Hong Kong Ticket. For light stitching, you should select a thread size between 602 and 1203. The thread size of 302 and 453 are generally used for general stitching. Thread sizes between 122 and 253 are used for heavy stitching. Commercial sizes are used for heavy duty threads. The thread sizes are generally used for heavy upholstery, canvas, and webbing. They are derived by dividing thread size in denier by 10 Common commercial sizes include 30, 92, 277, 345, and 554. Thread sizes between 10V and 18V are fine threads, while between 63V and 90V are coarse threads. The most common thread size is 35V that is used for general stitching. The Gunz Count system was developed in Japan to determine thread sizes. The number system is generally used for thinner threads. And is written as #60 or No. 60. Gunz count system is applicable in some parts of the world. Just remember that smaller number reflect fine threads while larger numbers represent coarse threads. A lot of people confuse this count with the weight or metric count of the thread. For instance, they equate No. 100 thread with 100 metric count thread size. But this is not the case. A thread of 100 metric count and another of No. 100 are different. They are measured using different systems and are not similar in size. When comparing threads make sure that you are clear about the numbering system. Quoting the wrong numbers could be disastrous for a sewing project. When selecting a thread, you should use your fingers and eyes to confirm the diameter of the thread. Selecting the right thread size is important for many reasons. The thread size that you choose will influence the stitch quality. You should select a thread size based on different factors. The thread size you choose should allow adequate covering for the project. For instance, a thread with a fine size #135D will not be suitable for quilting or embroidery. In addition, a thread with size 350D will give a lumpy appearance. Using the wrong size thread may also cause the thread to jam the sewing machine or break the thread. Thread tension on sewing machines is possible by applying some pressure to the thread that passes between tension disks. The tension can be electronically controlled, or it can be adjusted manually using a thumb wheel. To increase the thread tension, you should increase pressure on the tension. When a coarse thread is used in place of fine thread, the thread will push the disks apart. The increased diameter of the thread will result in increasing pressure on the spring. This can break or damage the thread. In contrast, using a fine thread in place of a coarse thread will cause the thread to loop back on the cloth. That’s why you should use the correct thread size based on the type of project. You should pay special attention when selecting a thread for a needle. The general rule is to use a thread whose diameter is 40 percent less than the eye of the needle. You should use a heavy thread size when sewing with a large needle. If the thread is skipping stitches or shredding the fabric, you should use a bigger needle when stitching. The thread you use for a project should suit the sewing project. The size of the thread should be such that it performs without breaking, shredding, or skipping stitches. Remember that you need to adjust the tension on the sewing machine when changing the thread size. Sewing threads are packaged in different forms. The common types of threads include the following. Cones — Cones are frustums of cones on which the threads are cross wound for stability. They are also providing excellent off-winding performance. Vicones — Vicones are long angle cones that have an additional base. The base consists of a raised flange that has a small lip. These are designed to prevent spillage that may occur when unwinding the smooth threads. The prevent trapping or snagging when the slag thread is used. Cops —Cops are in the form of small cylindrical tubes similar to cones. They are cross-wound for increased stability. Apart from the above, the thread can come in the form of cocoons, spools, and pre-wound bobbins. These cones are prepared for specific projects. You need to state the thread sizing system and the thread size for each of the above. You should not give only a number such as thread size of 40. Instead, you should state the numbering system and the size like 40 Denier or 50/2 metric count. Stating a number without a number system is a recipe for sewing disaster. Another important thing when buying a thread is to state the specific nomenclature specified by the manufacturer of the thread. This is important to avoid buying the wrong type of thread. Also, you should use a standard thread sizing system in all your projects. Writing thread sizes using different systems can cause confusion. You might buy the wrong thread size that will result in problems. For most projects, you should use metric count for consistency unless there is a good for using another thread. Also, you should give a sample thread to the supplier if possible. Most reputable suppliers can identify the thread size by looking at the thread. Thread sizes are measured using different systems. Make sure that you specify the right thread size when selecting one for a project. The thread size generally refers to the thickness of a thread. However, if the thread size is in ounces or pounds, it refers to the weight. Fine threads are less visible as compared to coarse threads. You should not assume that a smaller number thread is a fine thread. In a direct numbering system such as Denier and TEX, the larger number represents a coarse thread while a lower number represents a fine thread. On the other hand, with indirect numbering systems, the smaller number represents coarse thread while a larger number represents a fine thread. You should select a thread based on the project and the size of the needle. Also, you should pass a thread between the fingers and see how it will look when stitched. 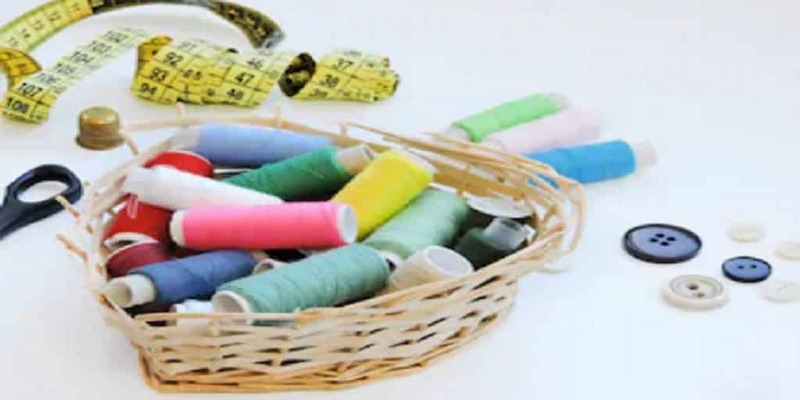 This will help you in selecting the right thread for the sewing project. 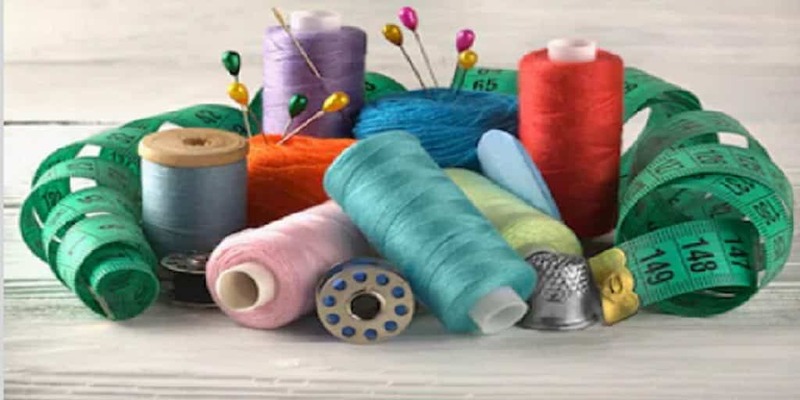 Although the numbering system for determining sewing threads is not an exact science, the numbers give you a fair idea about the size of the thread.